4 Bedroom Terraced House For Sale in Mansfield for Asking Price £120,000. OPEN HOUSE WEEKEND SATURDAY 27TH AND SUNDAY 28TH APRIL - CALL TO ARRANGE A VIEWING ON 01623 652218 IMMACULATE FAMILY HOME! Bairstow Eves are thrilled to welcome to the market a fantastic opportunity for families and first time buyers to acquire this immaculate and spacious home, which is to be sold with no upward chain. The property is a must view to fully appreciate the quality of finish throughout as well as being within close proximity to an array of local amenities and schools. The property comprises an entrance hallway with stairs leading to the first floor. The hall also gives access to the stunning and modern open plan kitchen diner with an external door opening out on the enclosed garden. 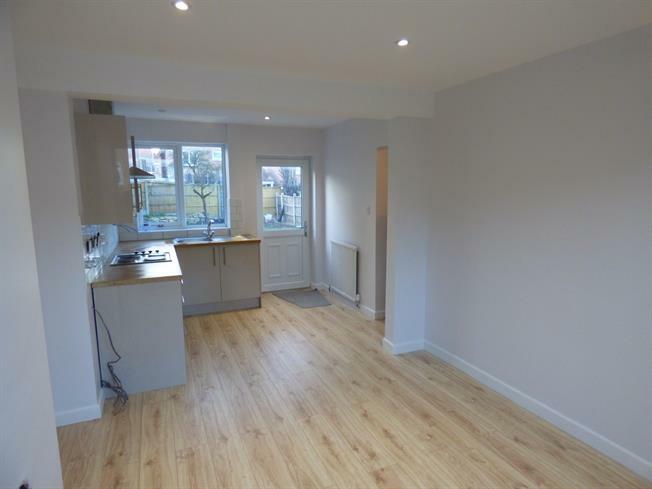 The hall and kitchen both give access to the spacious and bright living room that also opens up into utility room and downstairs w/c. The first floor benefits from four great sized bedrooms and the modern family bathroom suite. Additionally the property has gas central heating, double glazed windows throughout, off road parking and a large enclosed garden to the rear. Viewings are strongly recommended to appreciate what is on offer so please call the office for viewing arrangements.